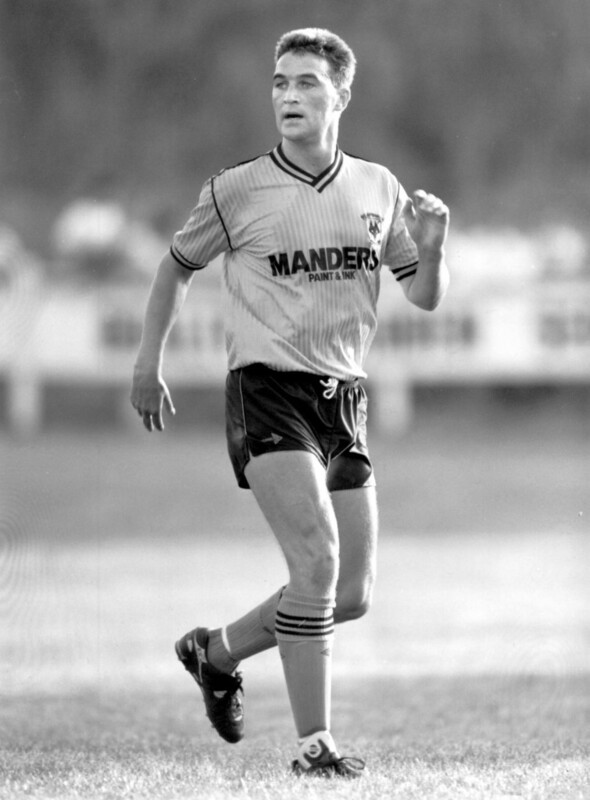 Rob Kelly in his all-too-brief playing career at Wolves in the late 1980s. They were friends at Wolves a quarter of a century ago, backroom colleagues across the Midlands for a year or two and now they have been reunited by bumping into each other on their respective travels across Europe. A long way from home, Mike Stowell and Rob Kelly have used international fortnight to have a catch-up during what is late season for one and pre-season for the other. It was on Sweden’s west coast that their paths have just crossed, with Kelly looking forward eagerly to the start of Malmo’s domestic campaign and the record-breaking former keeper helping put Denmark’s players through their paces. A best-wishes text from Wolves Heroes brought a response that pleased us no end – that the two of them had been brought back together by circumstance. “Saw Stowelly in Malmo last week…..his finishing is getting better with age,” Rob told us in his return message, with an apparent reference to his old Molineux team-mate’s shooting at Kasper Schmeichel and co on the training ground. The Danes had popped over the sea from Copenhagen to use Malmo’s Monday-to-Friday headquarters as a base at which to start the preparations for their friendly away to Kosovo and their European Championship qualifier in Switzerland. Both games were drawn, 2-2 and 3-3 respectively, with the one in Basle marked by an astonishing recovery by the visitors from three down with only seven minutes of normal time left. Stowell, for whom Brendan Rogers has recently become the 13th permanent manager under whom he has served at Leicester, linked up with the Danes last year, with the Schmeichel connection no doubt a factor. Kelly was one of his early Leicester bosses and has this winter gone continental himself for the first time by being appointed as assistant to Uwe Rosler at Malmo – beaten comfortably by Chelsea in the Europa League in February. Those testing meetings came early in the Swedish club’s warm-up to the league campaign, which starts with a home game against Hacken on Monday. The players’ report time was more than two and a half months ago and Kelly added: “It has been the longest pre-season I have known. 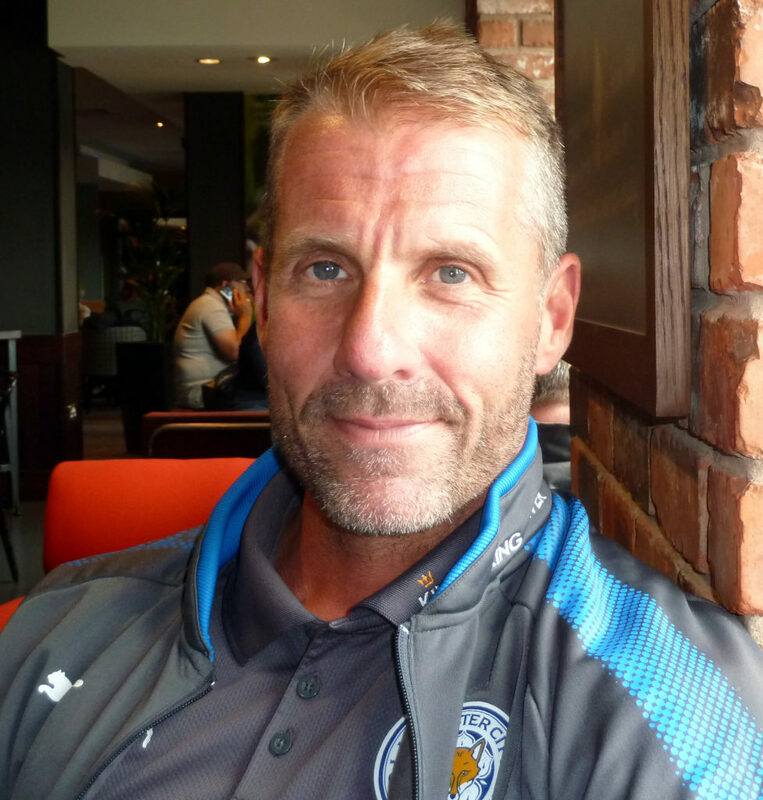 Mike Stowell – now a Leicester stalwart. Posted on: Saturday, March 30th, 2019.